Taylor Door Co. is the best place to find garage openers in Warren! 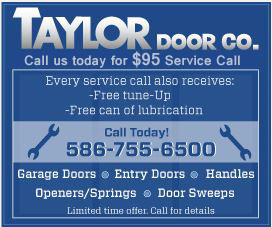 For more than 30 years, Taylor Door has taken pride in supplying and repairing garage openers in Warren. Its full line of garage opener parts and quick, friendly service are no match for competitors in Warren MI. Find out why Taylor Door Co. is the best option for garage openers Warren! Quotes are free! Belt Drive Garage Openers: As the quietest garage opener system, the Belt Drive Garage Opener offers a tough, heavy-duty belt that runs smooth and reliable for years! Chain Drive Garage Openers: Sixty-five percent of garage openers are chain driven. With such a wide variety, this type is perfect for a durable garage opener in Warren. Screw Drive Garage Openers: Taylor Door Co provides Screw Drive Garage Openers for extreme temperatures! This specially-made garage opener runs quietly because of its friction-reduced steel rail. Its superior performance is also driven by an electronic thermistor that adjusts to Warren’s cold temperatures. Residential Jackshaft Garage Openers: This type is used for garages that store more than just vehicles. The Residential Jackshaft Garage Openers are mounted next to the garage doors to provide more ceiling storage space. This type can also be connected to a power standby system that still works during power outages! To update your garage openers in Warren, call 586-755-6500 and set up your free quote! 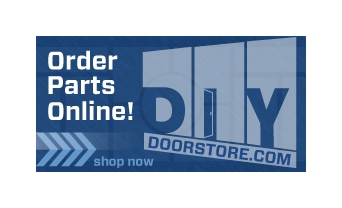 Taylor Door Co. of Warren will supply garage openers that cater to your lifestyle! See for yourself why it’s well-known for quality parts and services! Call 586-755-6500 for garage openers Warren that are Taylor tough!